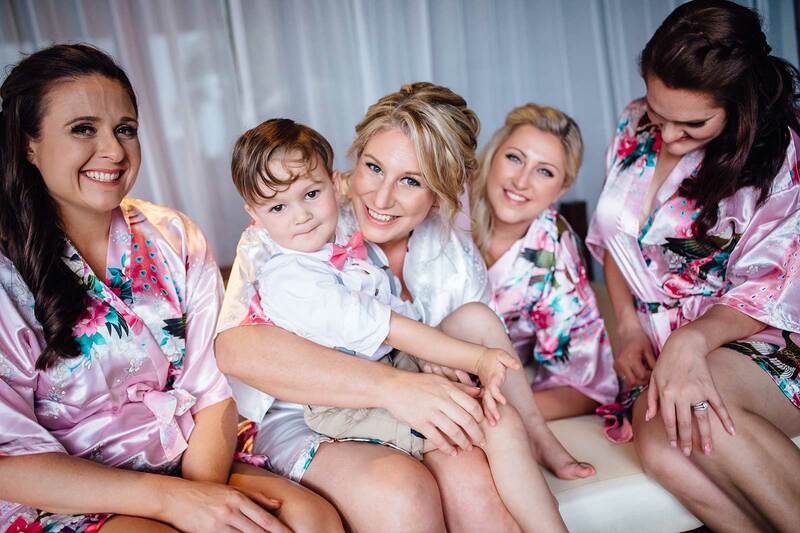 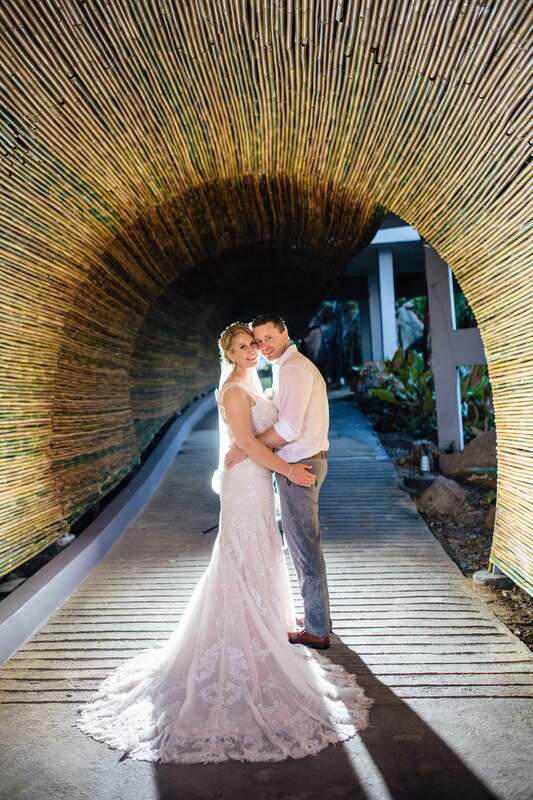 Unexpected weather couldn’t dampen spirits at this Koh Samui beach wedding..
For this globetrotting couple, the ideal wedding location had to tick a few boxes. 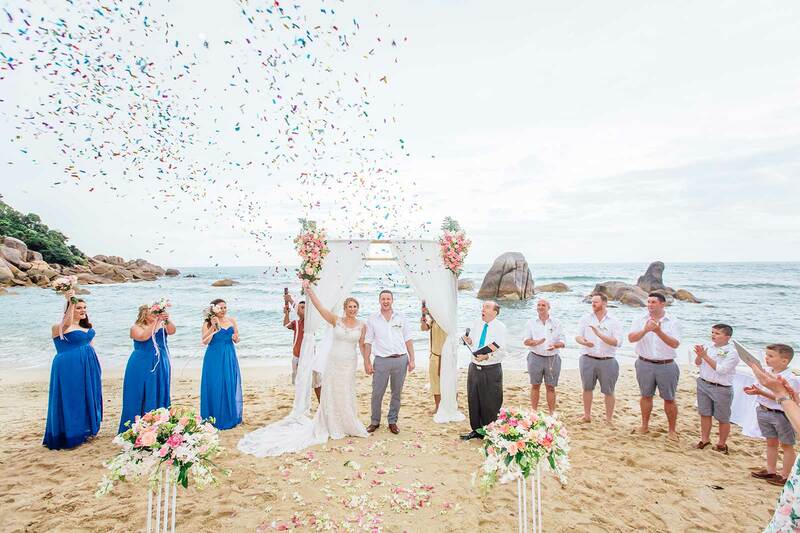 “We both love to travel and wanted to share our special day with friends and family on a warm beach somewhere,” says Kristy. 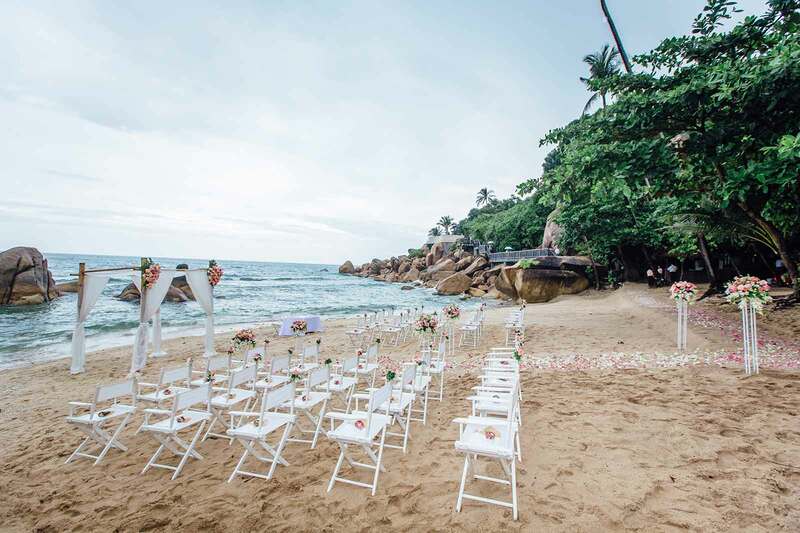 “When we visited Thailand’s Koh Samui we knew it was the one! 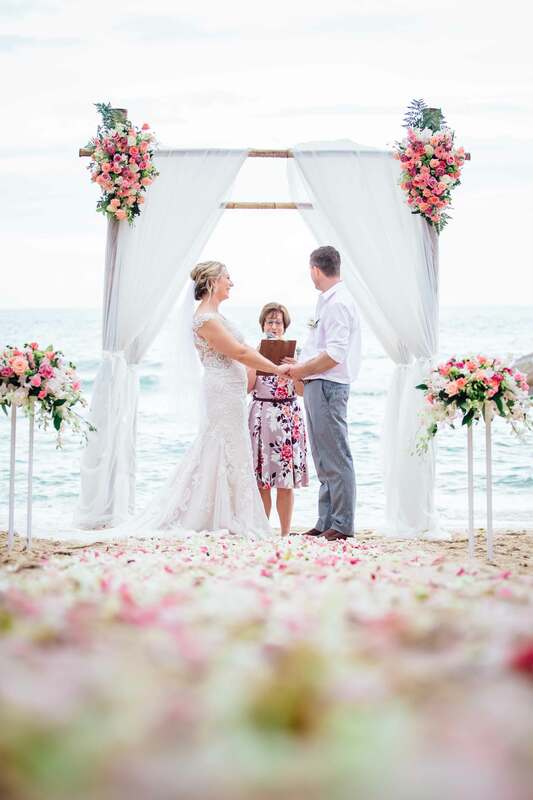 It’s a beautiful island, the people and food are amazing, the weather is tropical and it was somewhere we could spend a few extra days with our guests.” We’re sold! 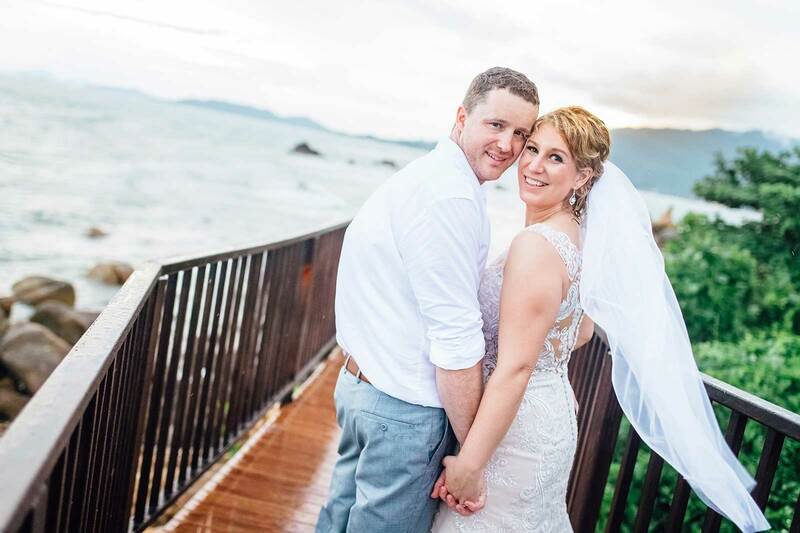 Despite the drizzle, spirits were high when Kristy and Simon exchanged vows and then joined loved ones for a lively cocktail hour and gorgeous photo shoot in the soft overcast light. 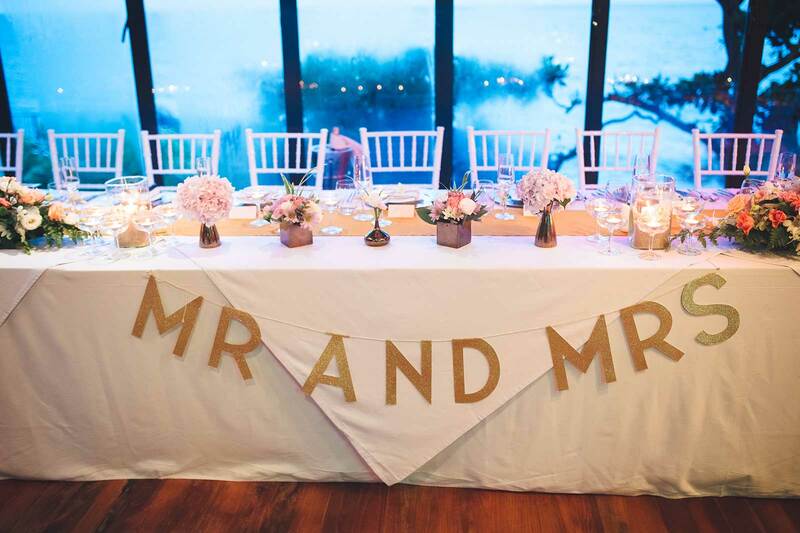 “All the guests had a laugh,” says Kristy. 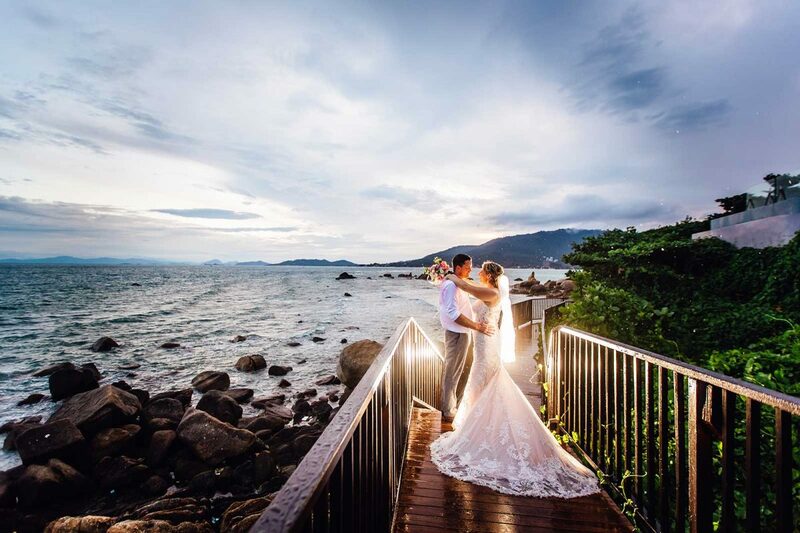 “Apparently rain on your wedding day means good luck!” Moving the festivities to Silavadee’s Moon Restaurant, overlooking the ocean, the couple topped the night off with scrumptious fare and free-flowing drinks.